I somehow missed this in our last roundup of OpenZDK apps, but it's so cool it's worthy of its own post. Zune HD hacker extraoidinaire Netrix released an update to his Liberate program which frees the device from its pretty but restrictive user interface. 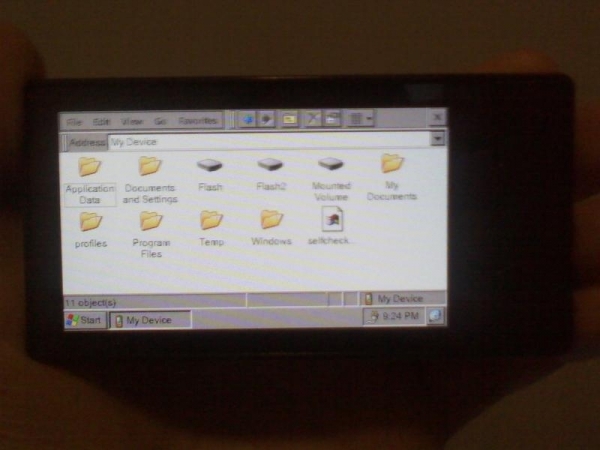 The Liberate program gives you access to the Windows CE operating system under the covers, with full access to explorer (ie your data) and executable apps like Opera Mini. The latest version adds support for an on-screen keyboard and right-clicking (two taps), but the really cool stuff is the familiar interface for editing files and adding software. Anyone with a Zune HD tried this out yet?